Paper Ball - 4" Paper Ball - 4"
Home > Toys > Foraging Toys > Paper Ball - 4"
Great chewing fun -- birds can chew the paper ball, pull the paper ribbons, or work at getting the treats that you put inside through an access hole! 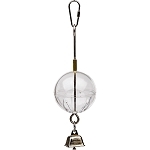 Large is 4" diameter (also known as party ball). My sun conure LOVES this toy!!! The only problem is that it lasts less than a day! I just wish he didnt teat them up so fast! The paper balls & piñatas (all the sizes) are great toys. They are easily destroyed, so do keep that in mind, but what fun while they last! You can put treats inside or just let them enjoy ripping the tissue paper and the cardboard ball apart. 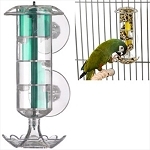 This is a Birdsafe Store favorite for our Severe Macaw! 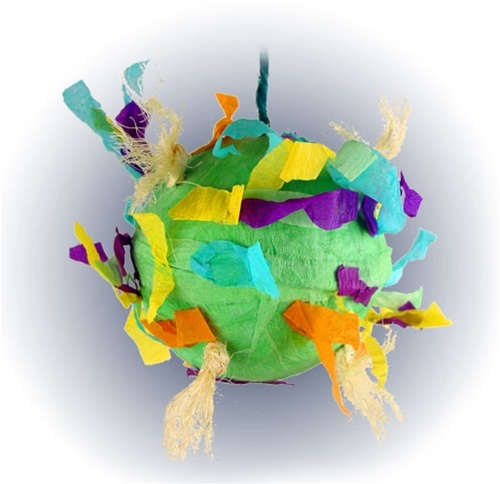 Our Severe, Sway, loves to destroy these balls - he does one in about two days, so it is less expensive than the other pinatas (which he loves as well).